Cherry MX Browns were designed with office ergonomics in mind. They are relatively light, gently tactile, and somewhat quiet. Upstroke and downstroke clack are almost unavoidable in MX designs. MX Browns also emit a quiet ping when pressed quickly. 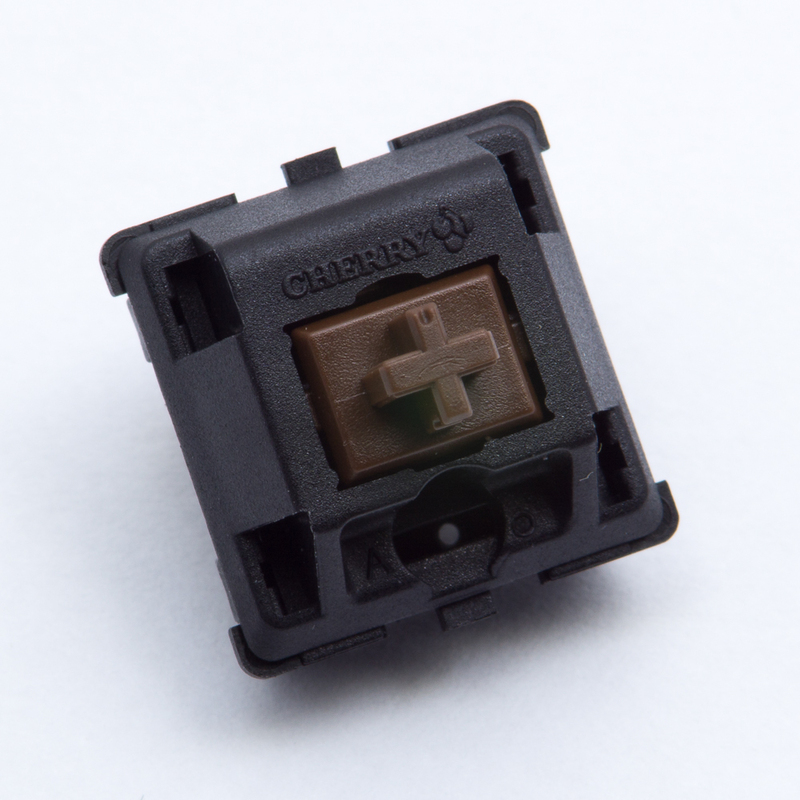 MX Browns are a common Cherry switch. Many users recommend them to beginning keyboard enthusiasts. That is, perhaps, less than optimal when a number of clones that feel more “mechanical” are available on the market.